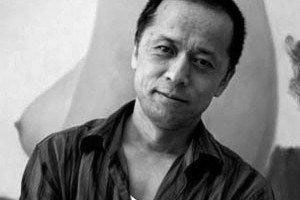 Qi Zhilong is a prominent painter known for his political pop images, mostly of Chinese women during the Cultural Revolution. His consumer icon series helped him gain recognition and fame for his art internationally. 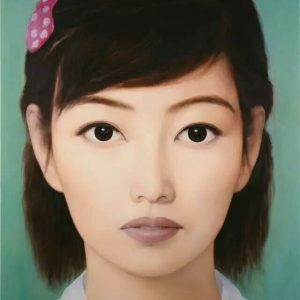 His works are plain and realistic, at times sweet representations of pig-tailed women from the 1950s and 1960s, followed by brassy consumers in the 1970s and 1980s. 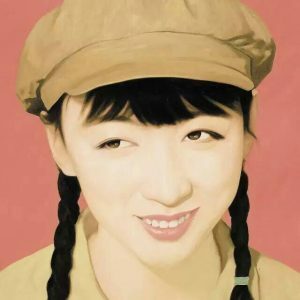 Qi Zhilong’s work gained international fame around 1994 with his Consumer Icons series, rendering a superficial and shallow pop culture, forecasting an onset of consumption in China. 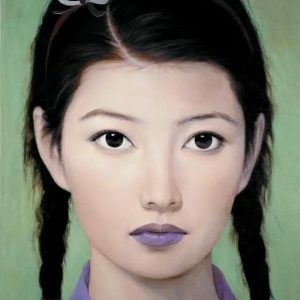 However, by 1995, Qi began work on a series with more depth – his portraits of beautiful young women in uniform. 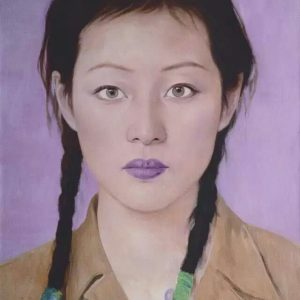 Qi Zhilong’s portraits demonstrate the tension between the increasing emphasis on sexuality of contemporary Chinese women and the roles that the previous generations assumed in the past. It is the contradictions between past and present, ideology, fantasy and reality that make the work hypnotic and stimulating. 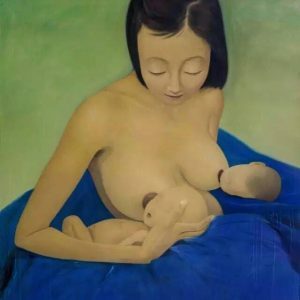 Though several of his subjects are in fact fashion models and actresses, they are unnamed; they are also depicted at a scale once reserved for the portraits of Mao and other leaders. At first glance the pictures are merely pretty, but the mix of heroic dimensions and humble rank, celebrity-style close-up and personal anonymity, chic beauty and drab uniformity reflect the multiple contradictions of recent Chinese history.